This is a family owned business based out of Chicago. You have to check out their stunning light up holiday decor! I can’t decide which I love more. The Hilal Led Light or the Mosque Marquee 😍 Also check out this great bargain for a burlap decor bundle! 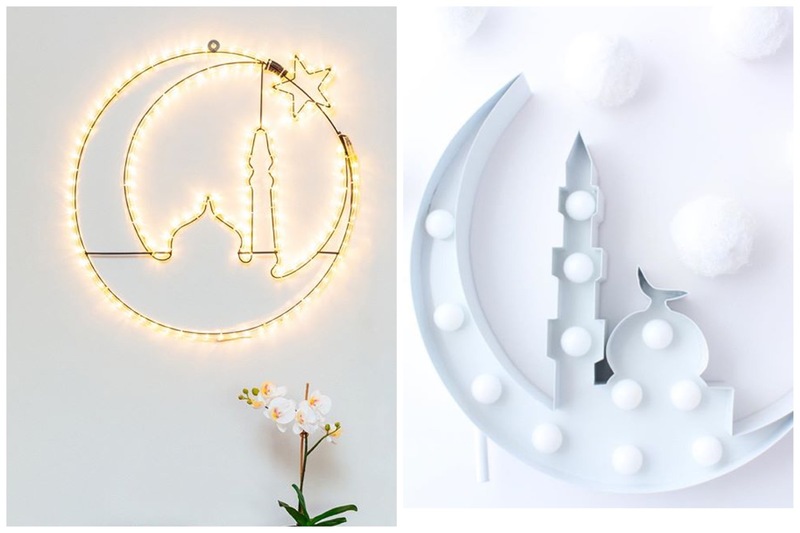 The dollar tree has got some super cute decor that can be used for Ramadan & Eid. 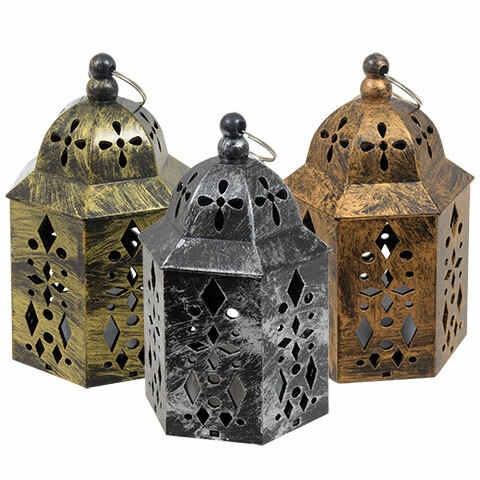 These lanterns being on of them. Also wait for the summer goodies to come out, you can find some awesome star goodies and plate settings! You read that right! 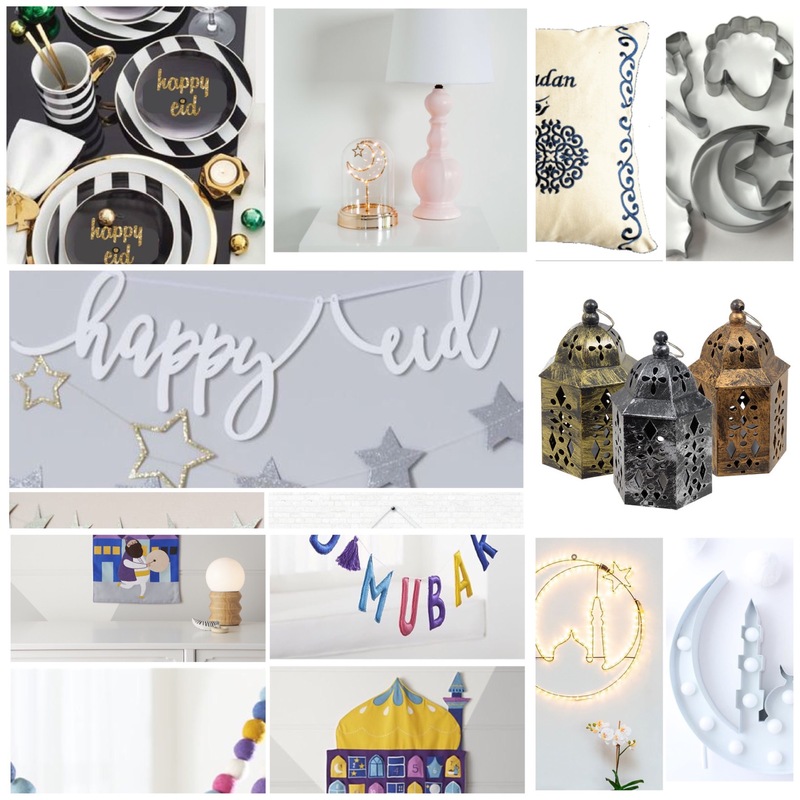 JcPenney now carries Ramadan/Eid friendly decor. It’s not marketed for it but fits right in. 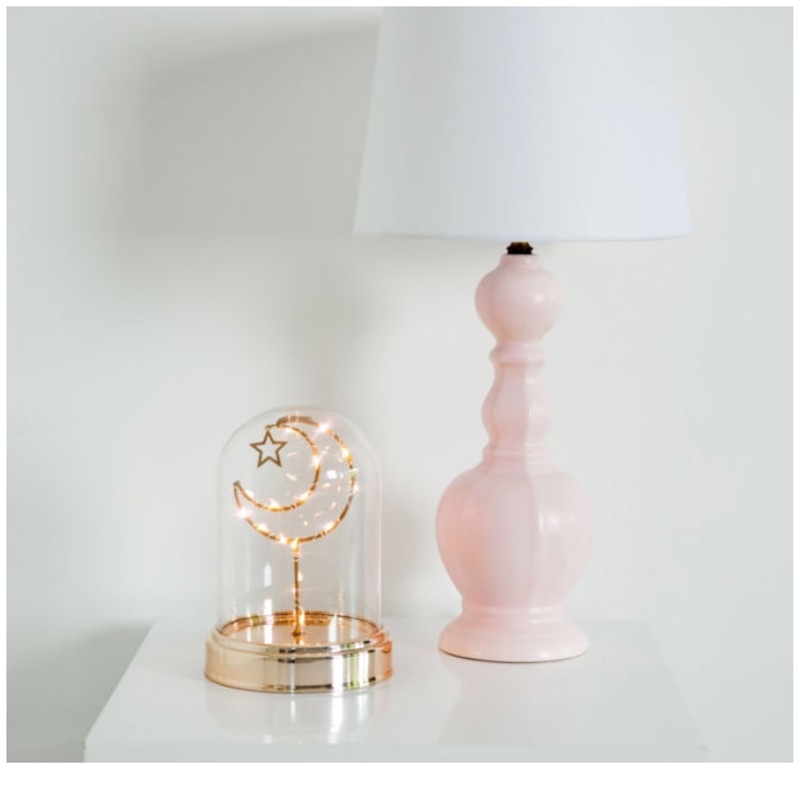 I ordered myself this cute battery operated lamp! There’s a wall light as well you can check out here! 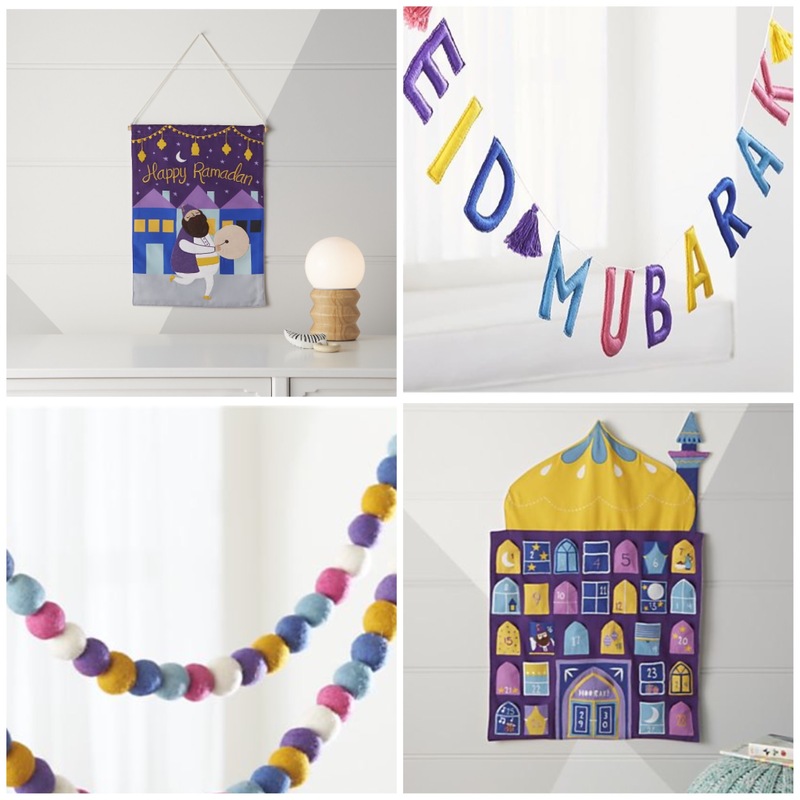 Now this company is selling Ramadan Eid decor marketed as Ramadan Eid decor! 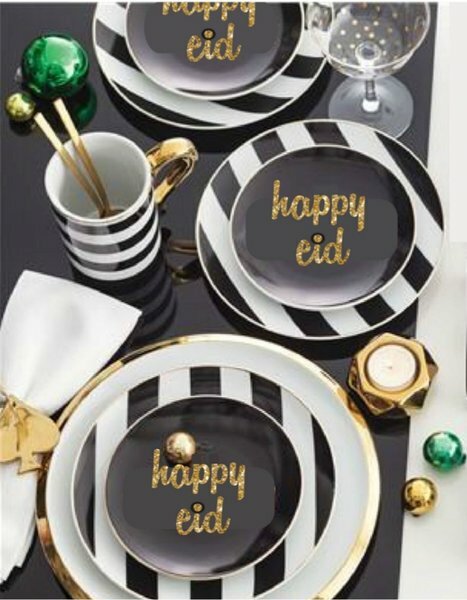 Manal of Hello Holy Days teamed up with Crate & Barrel to bring us this amazing holiday collection! 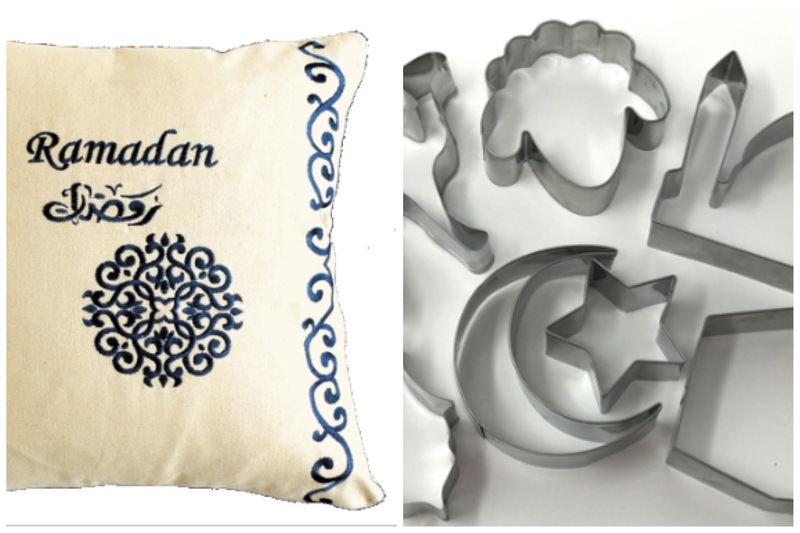 Eid Way has some throw pillows and cookie cutters to get your home into a festive spirit. My kids would love to bake up some treats with these! 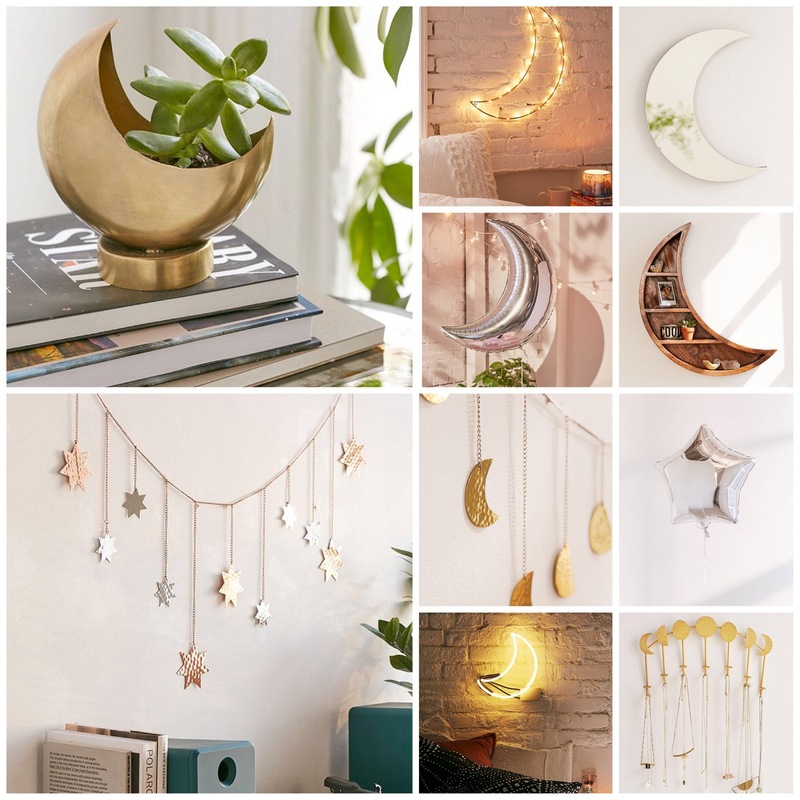 Check out this super cute moon planter and metal moon garland and star garland. My kind of adult holiday decor! They even have a gawjusssss crescent bookshelf and other light up goodies! 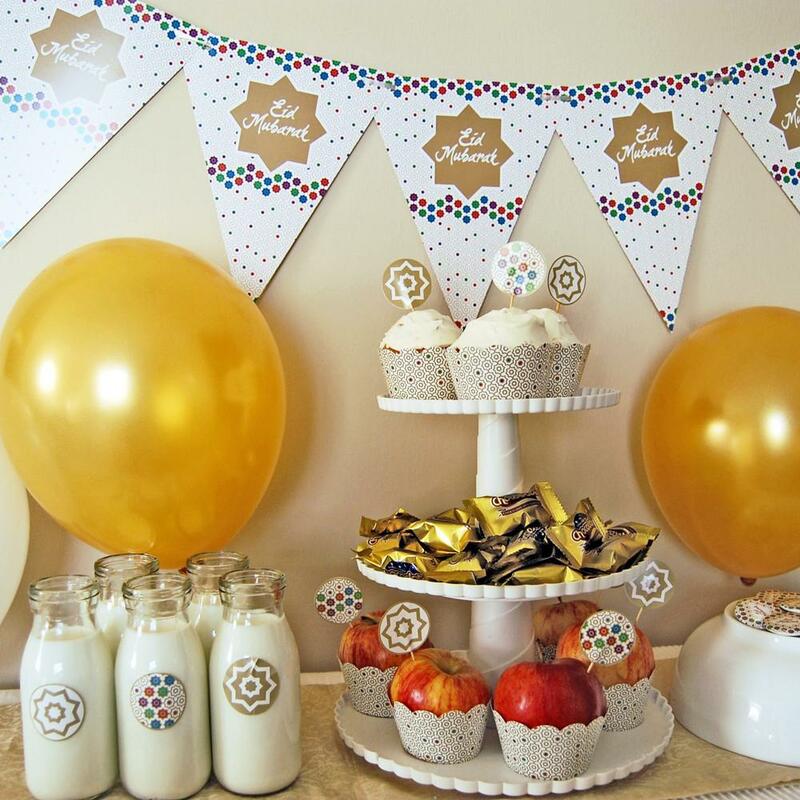 They’ve got this adorable party bundle! 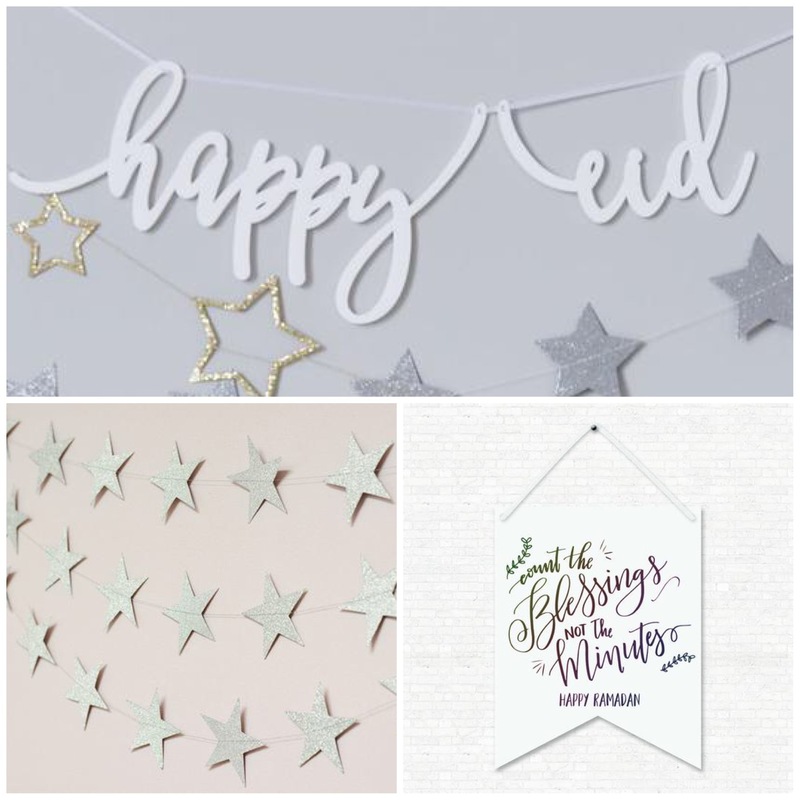 Have I missed any must shop businesses for Ramadan/Eid? Drop me a message here and I’ll add them in!